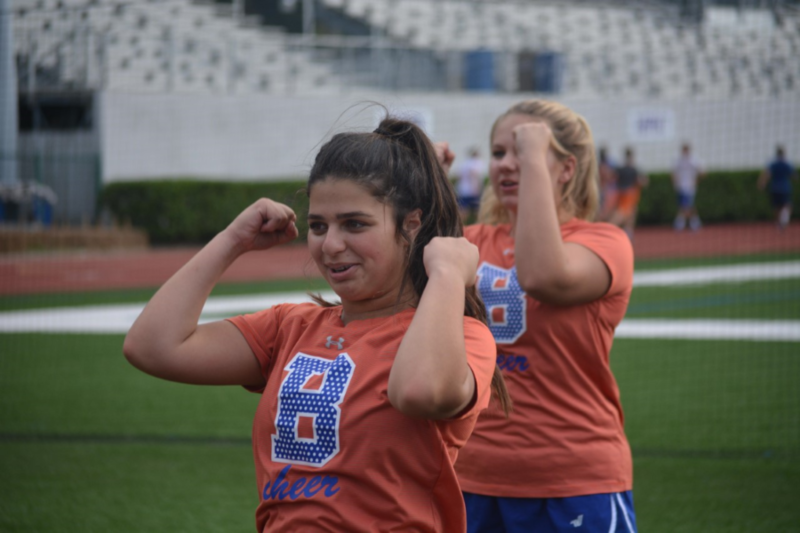 This year, the Bolles cheerleaders will be given the once in a lifetime opportunity to perform at the Macy’s Day parade held every Thanksgiving in New York City. While most must send auditions to be selected to perform, when Hodges requested more information on the event, the event coordinators explained that they were aware of Bolles, and they would not have to audition. Hodges allows any cheerleader on either JV or Varsity to perform, but the school is not financially sponsoring the trip. So, eleven cheerleaders will be performing in the parade: Alayna Zanghetti (‘18), Sage Lucas (‘18), Nicole Foster (19’), Amanda Morales (‘19), Layla Farah (‘19), Megan James (‘18), Chloe Cochran (‘20), Savannah Friedelin (‘20), Caldwell Connolly (‘21), Tiffany Lewis (‘21), and Rachel Jacob (‘21). Those participating unanimously felt that this was a once in a lifetime opportunity. Zanghetti says they have been preparing since they were first told about the opportunity the week after tryouts. “We have been receiving materials including our music, choreography, cheers, and uniform over the past few months,” she said. Once the team arrives in New York a week before the parade, they will perform along with all the other teams to decide their placement in the parade. Those who have outstanding performances will be featured in the front. She further reflected on how cheer has taught her how to be a good leader. “Most importantly, as captain I have learned that achieving true success depends on everyone’s participation, and that good leaders help struggling team members learn, grow and develop,” Zanghetti said. At this upcoming Macy’s Day Performance, they will use their teamwork in order for them to succeed.